For countless individuals, succession planning, and estate planning go hand-in-hand. If you are a business owner, you are likely concerned with who will run your business after you pass away. But disability or just indifference can be just as fearsome. An experienced business succession planning attorney can help owners define those roles – rules about compensation, hiring and firing, outside opportunities, family in the business, business funding, expansion, and contraction, to name just a few. 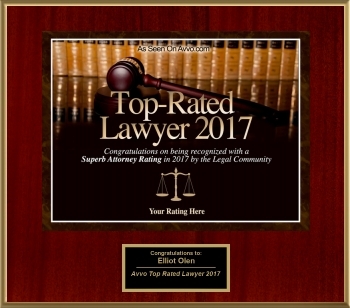 Since 1978, the Olen Law Office has provided legal advice and representation for business clients in Bucks County, from Fairless Hills to other communities throughout Pennsylvania and beyond. We understand the serious nature of our clients’ concerns and will help them navigate the legal process in the most efficient and cost-effective manner practical. Many clients find comfort in our extensive experience and in-depth legal knowledge on this topic, and inter-related maters like business real estate and business sale/liquidation. Our lawyer, Elliot Mark Olen, in the last decade has lectured on commercial real estate and estate planning topics complementary to business law, for continuing legal education (CLE) programs required for attendance by PA attorneys. Contact us today to learn more about how to plan for the future of a family business or other entity with our Bucks County business succession planning attorney. Should a business be sold? When/how? Or should it continue, perhaps with many realignments. Irrespective, when/how does the transition occur? Is life insurance or disability insurance in place for a buy-out or death of a key employee? What happens to debt due or from principals to the company. Are you grooming someone to take over your tasks, managerial and otherwise? How will that play out with other beneficiaries? Other personnel? What happens to associated debt? Ongoing guaranties? Accumulated accounts receivable? Management? Are or will your spouse and/or children be involved in the running of the business continuing or starting on your death? What if intended for later, will it be the “whole” business including real estate where the business is sited. How will beneficiaries earn? Equally? By equivalence in the open market? Based on years of service? Will beneficiaries have equal say? If not what criteria apply? If so what about deadlocks? What happens to real estate leased by a business from a decedent or departing principal? What if it is only part of a facility owned by the decedent? Have you amply provided for inheritance tax and income tax obligations? Interim transition costs? Long term operating capital? How will those beneficiaries left out of the next generation of business feel? Will this divide family unity? How to address that? We can thoroughly investigate your business structure and your wishes regarding what happens after you start to cede control. These are key decisions that can materially impact the lives of your heirs. Let us help you make the right choices for the future of your business. If you have further questions regarding business succession planning, we encourage you to schedule a consultation at the Olen Law Office.